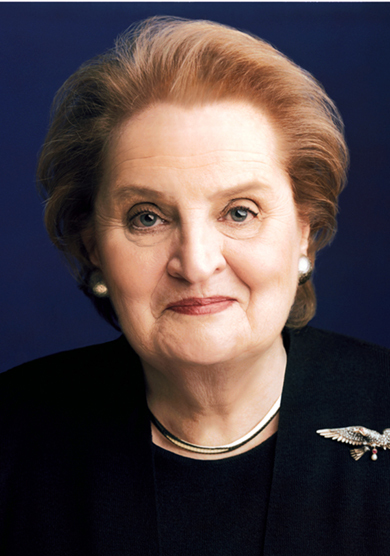 See the gallery for quotes by Madeleine Albright. You can to use those 7 images of quotes as a desktop wallpapers. I think that there is never an indispensable leader, you know? I think that there is a time with dignity that one needs to leave. I've never seen America as an imperialist or colonialist or meddling country. For me, America is really, truly the indispensable nation. 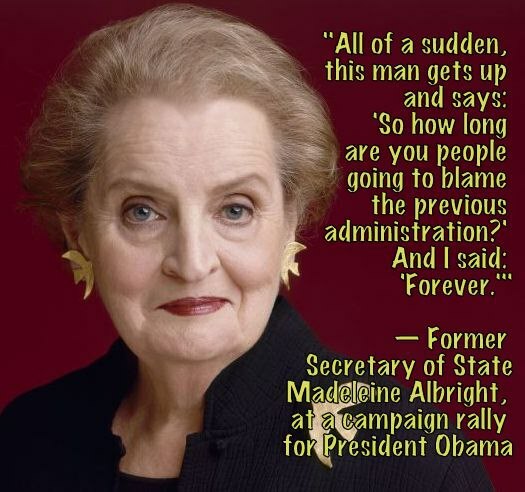 Much more quotes by Madeleine Albright below the page. I know that war is very cruel and that life is harder when you aren't able to live in the place you called home. I loved what I did. 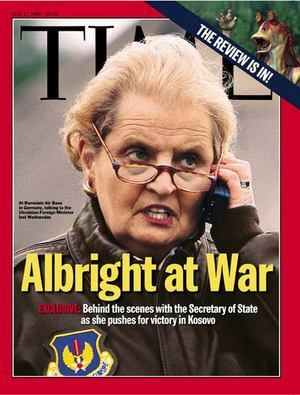 I could've been secretary of state for ever. I think I've revived the costume-jewelry industry. I wasn't a normal professor. I had worked in government. I hadn't written nine zillion books. I was a hands-on professor. No matter how hard we might wish, we will not be able to transform China's behavior overnight. The greatest thrill in my life was to represent the United States of America. And so I have studied, I have to tell you, revolutions and uprisings for a long time. They are all slightly different, but what they all look for is some kind of a mechanism to go from an authoritarian system to an open, democratic system. I think that we had a different view of what the 21st century could be like, with much more of a sense, from our perspective, of trying to have an interdependent world: looking at solving regional conflicts, having strength in alliances, operating within some kind of a sense that we were part of the international community and not outside of it. 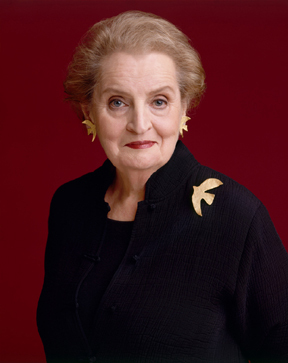 I am often asked if, when I was secretary, I had problems with foreign men. That is not who I had problems with, because I arrived in a very large plane that said United States of America. I had more problems with the men in our own government. I have always seen the United States as a force of good. And I have learned that there is the idealistic part about what we can do at the U.N. and there is a doable part. And I have learned what is more doable. I saw what happened when a dictator was allowed to take over a piece of a country and the country went down the tubes. And I saw the opposite during the war when America joined the fight. If you look at U.S. history through religious history, there is very much a motif that shows the importance religion has played in the U.S. We're a very religious country and it affects the way we look at various political issues. It's important that we invest in America - literally. The terrorists wanted to destroy our economy, and we can't let our system fall apart. We also have to invest in one another. Maybe if everybody in leadership was a woman, you might not get into the conflicts in the first place. But if you watch the women who have made it to the top, they haven't exactly been non-aggressive - including me. 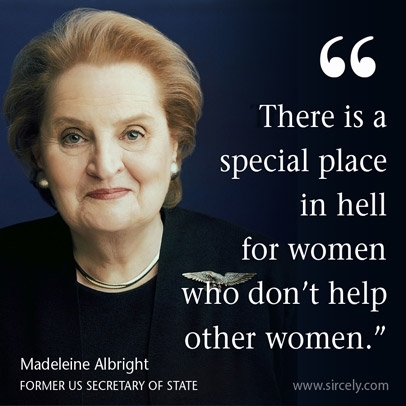 One of the things that was really an issue was I did not want to just be a woman secretary of state. I wanted to be a secretary of a state who was a woman, but not just chosen for that particular reason. Saddam's goal is to achieve the lifting of U.N. sanctions while retaining and enhancing Iraq's weapons of mass destruction programs. We cannot, we must not and we will not let him succeed. 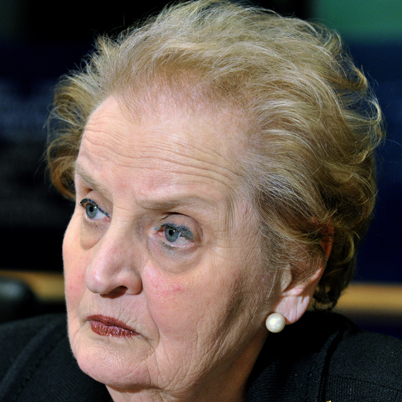 There's Madeleine, and then there's 'Madeleine Albright'. And I sometimes kind of think, who is this person? Once you become 'Madeleine Albright' it doesn't go away. 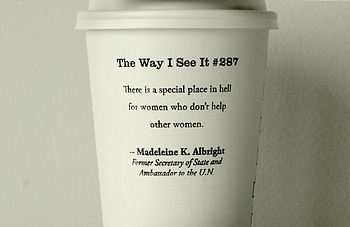 I really think that there was a great advantage in many ways to being a woman. I think we are a lot better at personal relationships, and then have the capability obviously of telling it like it is when it's necessary. It's one thing to be religious, but it's another thing to make religion your policy. I am a beneficiary of the American people's generosity, and I hope we can have comprehensive immigration legislation that allows this country to continue to be enriched by those who were not born here. And so I think that the idea of America working with other countries to solve problems is good for us, and it is part of digging us out of the 'my way or the highway' approach that was evident in the previous eight years. And frankly, I don't understand - I mean, I'm obviously a card-carrying Democrat - but I can't understand why any woman would want to vote for Mitt Romney, except maybe Mrs. Romney. I enjoy wearing pins, and nobody tells me to do it. If you look at my life, generally, I've been put in situations which were difficult and which I conquered. The magic of America is that we're a free and open society with a mixed population. Part of our security is our freedom.